After years of study at elite universities, you could presume that our brightest students would emerge knowing how to apply for a job. But top employers are struggling to fill graduate vacancies due to a glut of sloppy applications. A leading recruiter said students about to leave university take a ‘scattergun’ approach to sending out CVs rather than properly researching each position they apply for. Some simply cut and paste paragraphs between cover letters, and even mistakenly refer to rival companies. They do not always understand the basic requirements of the job they are applying for or even what the role involves. This is despite the fact that many applications are from final year students at leading universities who are expected to achieve at least a 2:1 degree. Research carried out by the Association of Graduate Recruiters – which represents leading firms including Procter & Gamble, PricewaterhouseCoopers and Rolls-Royce UK – has cast doubt on the calibre of today’s university leavers. The AGR took a snapshot poll of 68 members ahead of its larger annual summer survey. It found a predicted 10 per cent increase in the number of graduate jobs available on previous year. Nine out of ten employers said they still had vacancies for this year’s recruitment round. When asked to explain why the positions remained unfulfilled, more than half said they had increased the number of graduate jobs they had available. But 67 per cent said the applications they had received so far had been ‘of insufficient quality’. One employer said: ‘It is important that graduates take their applications seriously and not just assume they will get an interview because of their grades and the university they attended. Another employer said ‘better written applications’ were needed. The study found the highest percentage of vacancies were in IT (26 per cent); electrical/electronic engineering (23 per cent) and general management (18 per cent). Stephen Isherwood, chief executive of the AGR, said graduates ‘are not taking enough time over their applications’. He advised: ‘There are graduate vacancies out there and making fewer, well targeted applications rather than taking a scattergun approach to finding a job will pay dividends. 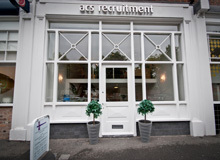 ACS Recruitment understand how difficult it can be finding the right role, let alone having to match your CV to every vacancy you want to apply for. Our trained consultants can assist you with correctly wording your CV to help maximise your skills and assets, per role you want to apply for.